Taking the necessary time to perfect your website makes protecting it also worth it. You might have questions about copyrights and trademarks now that you’re ready to engage with the world. That world is dynamic, so you need an understanding of some terms and definitions. Refer to a legal professional when you’re ready to make your final decision. The decisions you need to make are those that protect you. Protection comes in many forms. You might have created something that you want no one else to legally profit from. You might even find yourself being accused of taking intellectual property. Copyrights are granted by default. No one has to register for them. They are under the ownership of the person who created them. The ambiguity that arises comes about due to how a person confirms their creation of a thing. This is why registering is worth your time. Originality is key to both understanding trademarks and copyrights. They do differ and require different steps. Let’s take a look at the difference between a copyright and a trademark. A copyright protects original works from being misused. This requires that you visit your closest copyright office in order to submit material to its public ledger. Doing this provides you with a date and a list of the content submitted in your claim. You’ll then have something that verifies when and where you claimed the ownership of your intellectual property, or IP. Intellectual Property: These are artworks that include music, sculptures, photography or web design. The reason this is called intellectual property is because the intangible concepts make artwork unique in many cases. No one has a patent or copyright on the painting medium in the same way that no one can stop you from making a website. The content you have or the ideas on the website, however, are subject to intellectual property. The website would therefore be a means whereby you transfer those ideas. Creative Works: Things that you can create are all covered under copyright law. That is to say that no one has a copyright over the things that naturally exist. The creative process requires a professional like yourself to construct something that didn’t exist before, and the end result belongs to the person who created it. Physical Medium: It’s important to note that copyrights cover physical or tangible things. The ideas you have aren’t enough. It’s the work that you put into those ideas that then results in creative objectives like your website. The ideas you have must be in creative form to lay claim on them as yours. Names: The name of your product or agency is something designed to grab attention and stand out. The same goes for a website. That site might be a blog, and being identified by a certain name is something you can protect. Even when businesses do operate with a special name other than what they’re registered as, it has benefit. Being recognized with a certain font, a certain color, and a type of display are all facets that fall within the legal boundaries of a trademark. You can register your name because it can be intellectual property. Terms: You’ve heard of “I’m loving it” from McDonald’s, “Cars like us. People love us” from Pep Boys or “A diamond is forever” from De Beers. These taglines or slogans are protected, and you can generate an original concept for your website also. Once traffic is being generated, then you’ll want to use as much branding as you can to stand out. Symbols: Google now gives higher ranking to websites that have a logo or emblem placed on the upper left-hand part of the screen. These symbols are trademark patents and what you would register if needed. You can, for example, recognize an Apple store as it often has a white or black apple with a bite taken out of it. Copyright infringement is a serious offense. You should know what happens in these cases and should be able to follow up with a lawyer whether you’re protecting your own content or if someone is claiming that you did the infringement. Unregistered works will be provided with the same due process as registered works but are more difficult to prove. 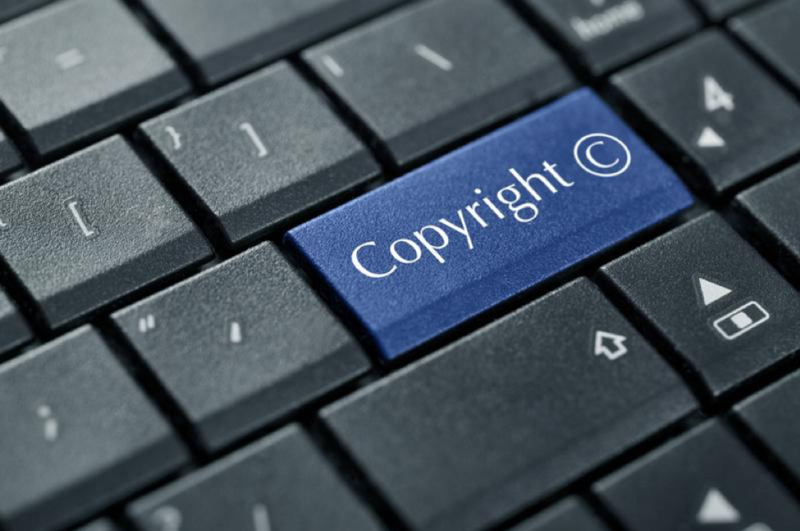 The copyright office enforces copyrights as long as the work is registered. The rewards in these cases may cover all court fees also. The cases that have a “gray area” are those that fall under fair use or if a defendant believes to have used content under this clause. Fair use is claimed when money is not involved in the use of IP. Why Is Copyrighting My Website Helpful? While the internet opened up a world of communications, originality is still a scarce product to come by. Having original ideas and content makes you and your website a valued item. The content you generate, the brand you create and the symbols you construct should be protected because of this exposure. Visit the U.S. Patent and Trademark site for U.S. claims and to verify that your concept isn’t already used. Copyrights can be started with the U.S. Copyright Office for a U.S. claim. You’re required to submit an application with fees and a non-returnable copy of what you want to be protected. These steps are all secure and worth the time if you want additional security for the work you’ve been producing. Consider both a trademark and a copyright, and consult with your legal assistance for further help. Perlinski Design believes in helping you to make your business and your website the best that it can be. That’s why we offer services to improve your SEO, your marketing materials, your social media management, and much more. Speak with us today about what more we can do to take your business to the nest level!